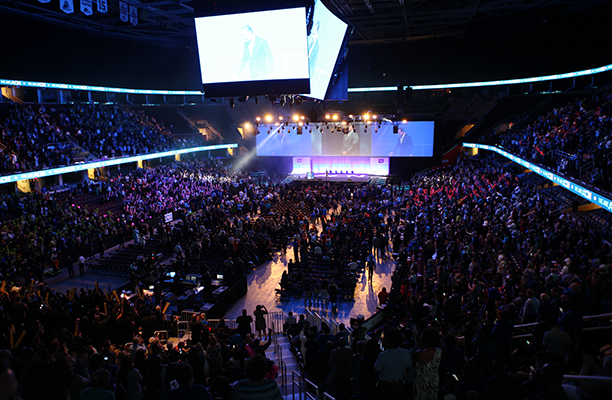 CLEVELAND, September 21, 2018	(Newswire.com) - ACN Inc., a world direct-sell leader, wrapped up three days of training, inspiration, and promotion on Sunday at Quicken Loans Arena. The quarterly convention, ACN’s International Training Event, drew thousands to Northeastern Ohio to train with company leaders, recognize significant promotions and hear announcements concerning ACN’s journey into 2019, known as ACN Next-Gen. Along with advanced training on the company’s new business management app, ACN Compass, trainers outlined other initiatives aimed at streamlining business-building processes for International Business Owners. Next phases for ACN Compass will further simplify the IBO experience, from piquing interest to planning events to managing teams. ACN leaders who led a lineup of compelling training sessions include Simon Abboud, Michael An, Chanelle Burt, Nathan Goldberg, and Jeffrey Street. ACN continued a tradition of collecting donations from attendees during the convention to present to the local Ronald McDonald House of Cleveland. ACN matched IBO, employee and convention guests on their donations dollar for dollar. On Sunday, ACN presented a check for $44,533.48 to Ronald McDonald House of Cleveland. Ronald McDonald House of Cleveland will use the donation to help provide free or low-cost lodging for families who have children being treated in local hospitals. ACN will next convene on a large scale Nov. 30-Dec. 2 for an International Training Event in Long Beach, Calif. Register for the event here. Founded in 1993, ACN is the world’s largest direct seller of telecommunications, energy and other essential services for residential and business customers. ACN provides the services people need and use every day, including phone service, wireless, energy, merchant services, television, security and automation, and High-Speed Internet. ACN operates in 26 countries, with offices in North America, Latin America, Columbia, Europe, Asia, and the Pacific. For information on ACN’s home-based business opportunity, visit acninc.com.